Eight garden plots are available this year to rent! 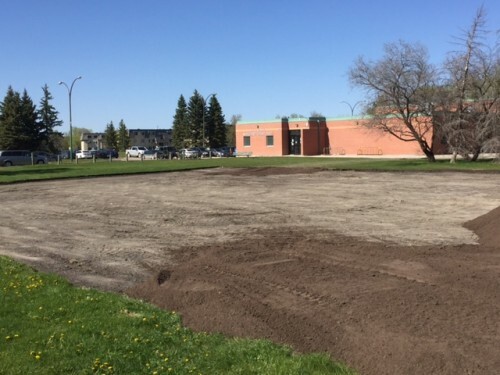 Of the 20 plots, 12 have been booked by returning gardeners and eight will be available to be rented starting at 9:00 am on April 8 by calling 204-832-5865 ($48.30). Plots measure approx. 21 ½ ft x 26 ft = 559 ft2. Two years ago community members came to me looking for gardening space. I worked with the City staff, provided funding and we developed a large garden with 20 plots. Following the first year, I had many requests to provide water for the gardeners, so organized the installation of a huge water tank with keyed access. These plots are in a great location, easy to access and are tilled at the beginning of each season. For more information see City of Winnipeg Community Gardens.